Lone Tree Brewing Company will host its annual Brews for CancerBlows dinner on Friday, July 7. The event will feature CancerBlows Coffee IPA brewed in collaboration with Broken Compass Brewing, five Lone Tree beer-paired courses crafted by Chef Paul Worley, and live music by the H2 Big Band and trumpet players from the Dallas Symphony Orchestra. Proceeds from this event will go to CancerBlows and The Ryan Anthony Foundation. Kenyan Thaita AA roast from Denver’s Boxcar Coffee was added to the CancerBlows Coffee IPA after fermentation. This beer’s light grain bill—comprised of 2-row malt, biscuit malt, crystal malt, and oats— makes way for bold and juicy Mosaic hop additions and lightly roasted, fruit-forward coffee. Lactose is added to convey a coffee-and-cream mouthfeel. Brews for CancerBlows Guests will receive welcome goblets of this beer during a private tour of Lone Tree Brewing with Head Brewer Josh West. Tickets for this beer dinner cost $70 and can be purchased here or in Lone Tree’s tasting room. The menu is available on Lone Tree’s Facebook page. If you would like more information about the Brews for CancerBlows dinner, the CancerBlows Coffee IPA, or Lone Tree’s partnership with The Ryan Anthony Foundation, please contact Emily Hutto at coop@radcraftbeer.com. Lone Tree Brewing Company was the first brewery in Lone Tree, Colorado that opened near Park Meadows Mall in 2011. The neighborhood-focused, family-friendly brewery and tasting room regularly hosts community events that gather around a stylistically diverse lineup of flagship, seasonal, and limited release beers. Lone Tree’s cans and 22-ounce bombers are sold across the state of Colorado, as well as Kansas and Nebraska. Its draft beer is poured at many bars and restaurants in its distribution footprint as well. 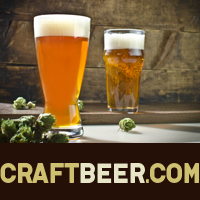 Find the brewery online at lonetreebrewingco.com. Broken Compass Brewing opened in 2014 just a short bike ride, drive or ski north of downtown Breckenridge with a focus on bringing you great beer and great community all in one location. With shelves full of board games and friendly dogs and humans filling the seats, it’s the perfect place to grab a beer after work or relax with friends and family on mountain vacations. Broken Compass brews are sold almost exclusively at the brewery tasting room and at a scattering of restaurants in Summit County. Find the brewery online at brokencompassbrewing.com. The post Lone Tree Brewing to Host Brews For CancerBlows Dinner appeared first on CraftBeer.com.